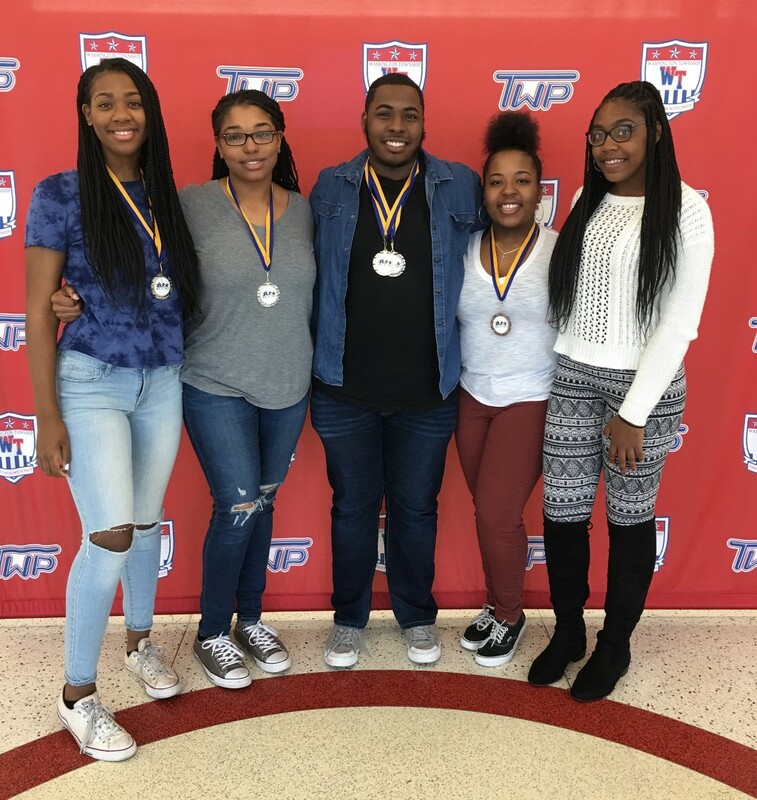 From left to right, WTHS NAACP Youth Chapter students Gianna Clark, Lexie Wells, Nasir Randolph, Kayla Webster and Natasha Pierce were among competitors at the state ACT-SO competition. Photo: Jan Giel, special to The Sun. Five members of Washington Township High School’s NAACP Youth Chapter were among participants at the NAACP’s Afro-Academic Cultural, Technological and Scientific Olympics on April 7 in New Brunswick. SO is a yearlong achievement program designed to recruit, stimulate and encourage high school academic and cultural achievement among African-American high school students. Almost 300,000 young people have participated in the program since its inception and have competed in 32 categories of STEM, humanities, business, and performing, visual and culinary arts with the mission of preparing, recognizing and rewarding youth of African descent who exemplify scholastic and artistic excellence. Randolph will represent WTHS and Gloucester County in the oratory category at the national ACT-SO competition this summer in San Antonio, Texas. For additional information on the ACT-SO competition, visit www.naacp.org/act-so/. The program is open to all African-American high school students. Students and parents who are interested in learning more about the program are invited to email Jackson at ejackson@wtps.org, or Lafleur at alafleur@wtps.org.